Connected customers don’t expect personalisation to depend on the channel they’re using to interact with you. The notion of offering ‘personal’ service extends far beyond accommodating a customer’s individual needs, but instead requires companies to know – immediately – key details about that customer’s relationship and engagement with your service in the past. In the case of UK respondents, 80% of UK customers feel strongly that companies must provide a consistent experience regardless of the platform, channel or location of contact. Furthermore, 73% of UK customers believe it’s critical that customer service agents know their service history – saving everyone’s time during service interactions. This desire for informed, immediate service is indicative of a wider shift to omni-channel customer service. 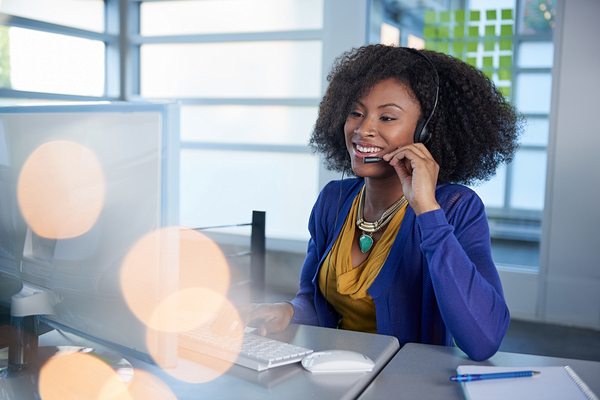 Linking your service channels across a harmonious network is essential if you want to meet customer expectations; for example, previous Twitter exchanges must be visible to call centre agents if a customer calls to pursue the issue the following day. The notion of a synchronised, omni-channel service is no longer a future prospect, but a current business standard. Indeed, UK respondents feel so strongly about consistent service that 74% will not hesitate to take their business to a competitor if such expectations are neglected. In the case of UK business buyers, they don’t just expect your agents to know everything about their service history – they expect them to be utterly on top of knowledge of your company’s offerings. In fact, 78% of UK business respondents feel it’s imperative they work “with someone who has intimate knowledge of their product or service offerings”. The moral? It’s all well and good to know your customer, but if your service agents don’t know your own company inside out, your customers may well look elsewhere. One company that’s fully committed to delivering faster, smarter customer service is Vax. As the UK’s best-selling floor care brand, Vax wanted a customer service program to match its leading status. "Thanks to Service Cloud first contact resolution has increased from 78% to 87%." Vax also integrated Service Cloud with its ecommerce systems to provide a ‘360-degree view’ of all customer relationships. Every call, tweet, email and review made by a customer is recorded, helping agents prepare for, and recognise customer contact with ease. Equipped with Sales Cloud and the Salesforce1 Mobile App, Vax sales and commercial teams can communicate faster, and access customer information immediately – even on the move. While every company needs a committed, enthusiastic customer service team, in the digital age, customers often treat human contact as a last resort. And it’s in your interests to help customers help themselves. Our State of Service report uncovered a clear correlation between the use of self-service solutions and high-performance in customer service teams, with top teams 2.4 times more likely to make extensive use of customer portals, and 3.5 times more likely to use online communities. As consumer and business technology – AI, real-time analytics, virtual reality, the Internet of Things… – marches on, customers expect to feel the positive impact on service interactions. At present, both individual consumers and business buyers are looking for faster, better-informed service experiences – whenever and however they get in touch. Companies that can meet those demands, while helping customers help themselves, can expect to be repaid with higher satisfaction, and lower churn. Eager to learn more about more about the changing face of service expectations? Download the full State of the Connected Customer report right now.